Perfect your weekend style with this seasons latest ATM shirt. Team this mandarin collar shirt with jeans if you're looking for a fun outfit that's classy as well. 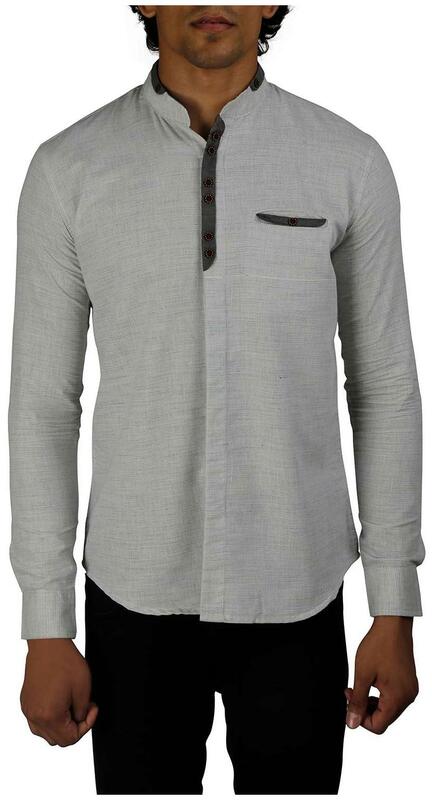 Excellently designed collection of green casual shirts for men that bring out the best in you. Layer this solid shirt with your fave shorts and flip flops for a day out on the beach. The enjoyable cotton make of this casual shirt makes it a enjoyable option . Be summer ready with this casual shirt. Combine this shirt with cotton trousers and a pair of boat shoes.